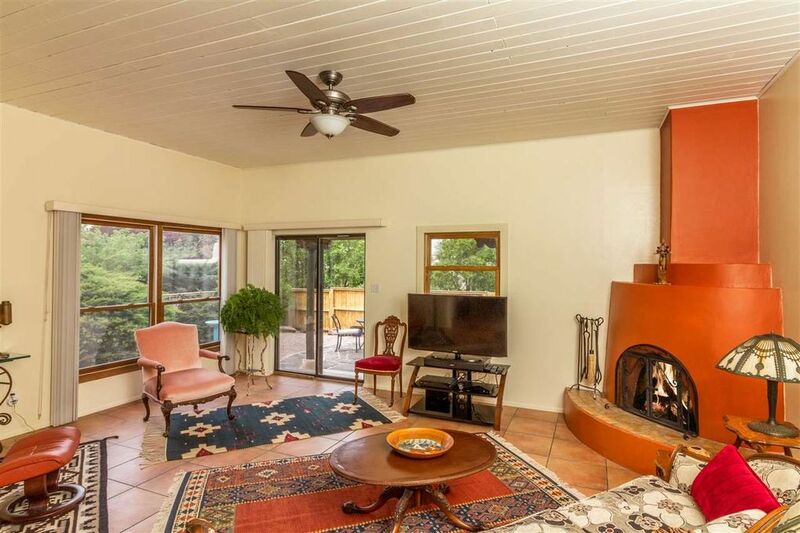 Park Plazas home with a quiet interior location and mountain views from the back yard. Ceramic tile floors throughout, silestone kitchen counters, newer windows, and evaporative cooling. The 6 skylights allow light to suffuse the home with a bright glow while the kiva fireplace offers real warmth and atmosphere in the winter. Open the living room glass doors to a covered portal and landscaped back yard and a great view of the Sangre de Cristo Mountains. On the other side of the recently fenced back yard is a walking path through fruit trees and acres of open land. Park Plazas was built by Walt Chapman and is a very quiet, safe, pet friendly and beautifully landscaped development that also offers tennis courts, RV parking, an off-leash doggie area and snow removal. It is well located close to shopping, schools and the rail trail.